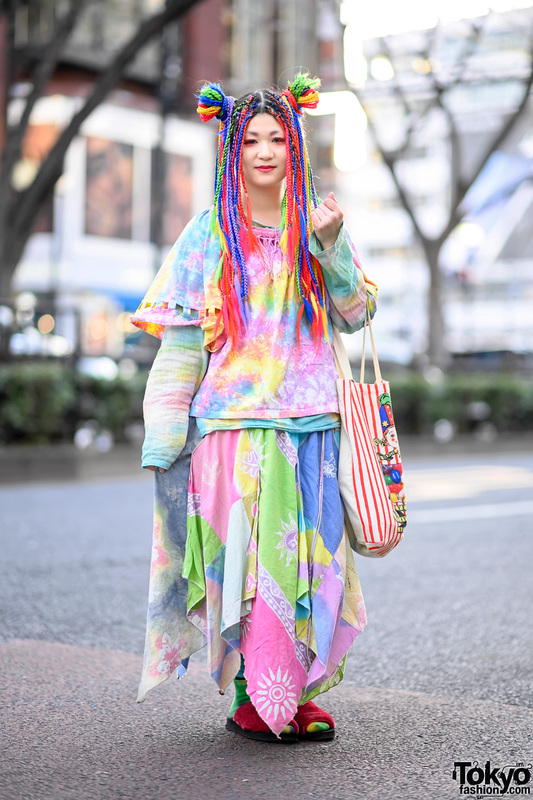 MaiMai is a longtime Japanese decora who we have been street snapping around Harajuku for several years. 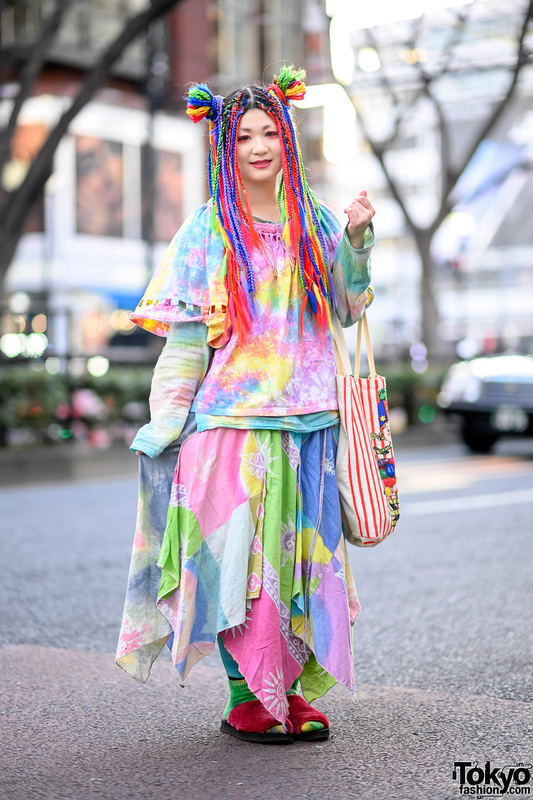 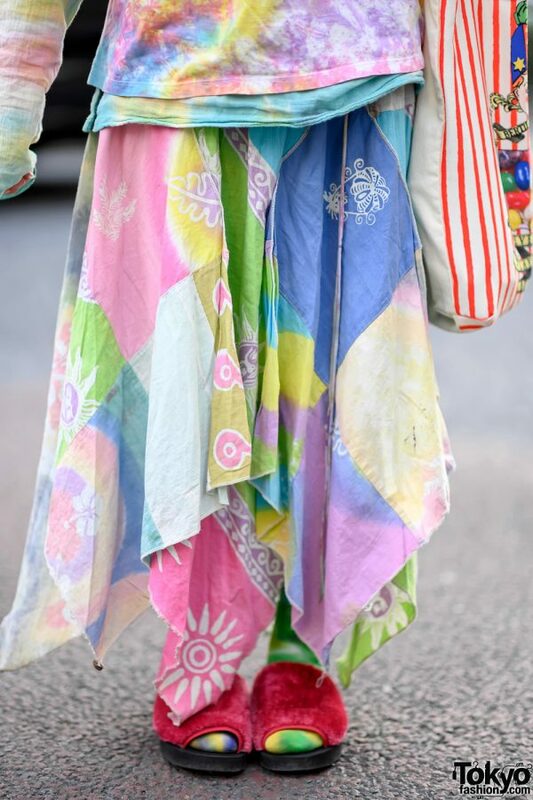 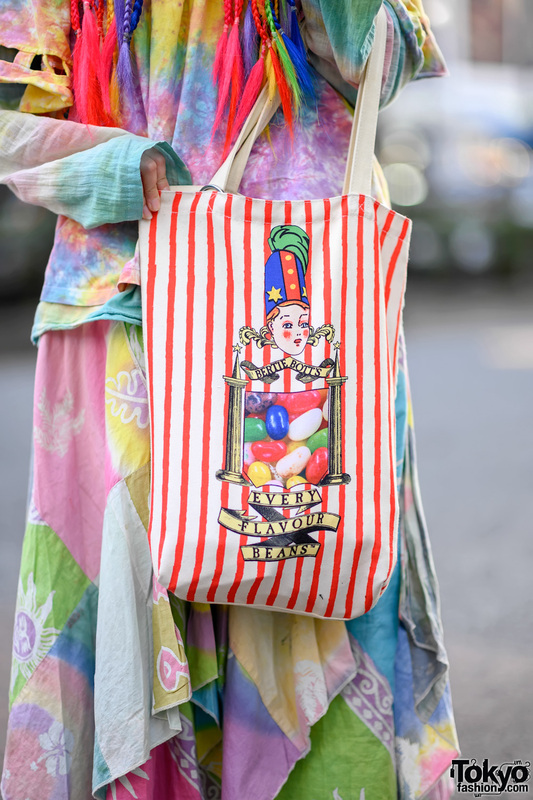 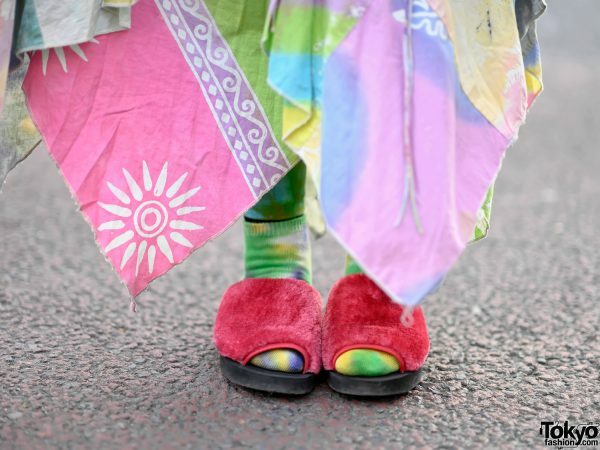 Her kawaii style here features layered tie dye tops and colorful patchwork skirts from the vintage shop ElRodeo with a “Bertie Botts” Harry Potter bag from Universal Studios Japan and furry slippers. 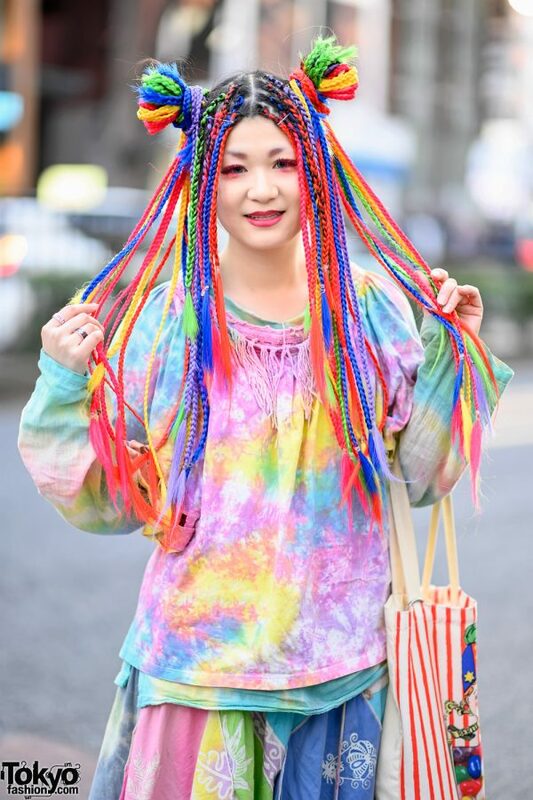 Mai’s favorite band is Glay and she is active on Instagram.